Lowering your credit card interest rates could save you hundreds, if not thousands of dollars. The lower your interest rates, the more money you save. Some consumers are intimidated by the thought of requesting a lower interest rate and never even try. Do not become one of those consumers. You would be surprised at the positive results. Banks have got to start competing for your business and not take loyal consumers for granted. Your chances of lowering your credit card interest rates are very good if you have been a customer for some time, you are not at your credit limit and you have been making timely payments. Review all of your credit card statements. The first item you should take note of is the annual percentage rate you are paying on those credit cards. You should also note late, over-limit or any other extra fees. What you want to look for are changes in fees, interest rates and finance charges. Credit card companies make money by racking up extra fees which sometimes just magically appear on your credit card statements. Many of the extra charges come in the form of late fees. You may make a payment on the actual due date and still incur a late fee. Some credit card issuers, especially retail credit cards, have a due time. Their computers have a cut-off time for your payment to be processed. Some of you may have encountered this problem and didn’t realize what was occurring. More often then not, the credit card company will make the adjustment and take the late fee off but only if you make a call to the customer service department. They are hoping you will not notice or will just accept the late fee without a fuss. Do not accept it. Make the call if this happens to you. It is an unfair, deceptive practice. Do a little research to find out what other credit cards have lower interest rates, best benefits such as rewards, travel and cashback features.You should also look for cards which offer 0% balance transfers and no annual fee. Be sure to note what the interest rate will be after the initial period. 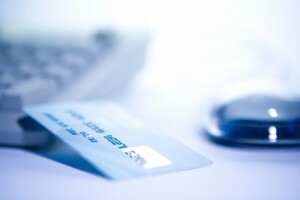 It is not uncommon for various credit cards to have vastly different interest rates. Some banks issue several different credit cards and there can be great interest rate and fee disparities within those cards. You could be paying twice the interest as someone else for the same credit card. Rates constantly fluctuate so it’s imperative you check all of your monthly statements. You could be paying twice the interest as someone else for the same credit card. Rates constantly fluctuate so it’s imperative you check all of your monthly statements. Contact your credit card issuer and request your interest rate be lowered. Be professional, remain calm and polite; however, be firm in your request. If necessary request to speak with a supervisor or manager if you are not getting the desired results. You should always mention that you have been a good customer and that you would like nothing else but to continue your relationship with them. Point out the fact you pay on time. You may also want to mention you have other low interest card offers that you can transfer your balance to. If they agree to lower your interest rate you don’t have to stop requesting. Call again in a few months and request an even lower rate. Getting your credit card interest rate lowered is not a one time deal. As long as you are a good customer you can periodically request lower interest rates. Sometimes the first person you speak with will tell you they are not authorized to lower credit card interest rates. Don’t give up. Request to speak with a manager if this occurs. Someone in that company can lower your interest rate. Remember to be polite when asking to speak with upper management. At this point if you cannot negotiate a lower rate ask the reasons for the denial and inquire as to when you may call again to request a lower rate. Even if you threaten to close your account, do not close your account. Remember that length of credit history is 15% of your credit score so you do not want to close any old accounts. Call back every few weeks if you are denied. Being persistent increases your chances of getting your rate lowered. It shows your credit card company you are serious and ready to negotiate. Another alternative to a denial of your request would be to pay off that debt. Take any extra cash and apply it to the principal of that debt on a monthly basis. Every extra dollar you put towards your credit card balance means you pay less in interest rates over time. Making only the minimum payments stretches out your debt for years. If you only make a minimum payment of $50.00 on a credit card balance of $2,500 @ 19.9% interest rate it will take approximately 9 years to pay the entire balance. If you double that payment to $100.00 on that same balance and interest rate it will take only 2.5 years to pay off that balance.